The third series of Talking Tom Cat which is even more amazing. Tom cat and his friend Ben are hosting a program together, and you can open your video to play with them together! Both Tom and Ben will respond to your touch and repeat everything that you say with a funny voice. 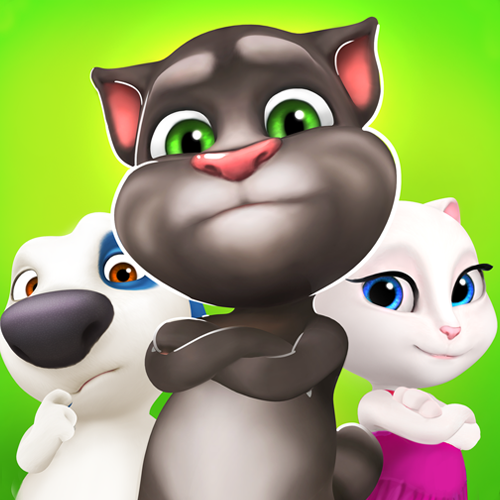 You can pet their ears, poke their paws and hit their furs.Hold your mouse on the the the ear of Tom or Ben while you are speaking .Loosen the moouse and they will imitate what you have said.Compared with the second version of Talking Tom Cat, the third version is more interesting and will you even more pleasure!